In light of some new members to the forum, and David Young's recent visit to an Orthodox Church, I thought it might be beneficial to explain how and why Orthodox Churches are designed. Orthodox churches are designed in a similar fashion to the Temple of Solomon. We are told that in the Biblical Temple, the Holy of Holies was built with Cedar boards, overlaid with Gold, and had a curtain and double doors to separate it from the nave. Throughout the Temple there were Cherubim and other statues/icons... Source - 1 Kings 6, 2 Chr 3. He lined its interior walls with cedar boards, paneling them from the floor of the temple to the ceiling, and covered the floor of the temple with planks of pine. 16 He partitioned off twenty cubits at the rear of the temple with cedar boards from floor to ceiling to form within the temple an inner sanctuary, the Most Holy Place. 17 The main hall in front of this room was forty cubits [j] long. 18 The inside of the temple was cedar, carved with gourds and open flowers. Everything was cedar; no stone was to be seen. 19 He prepared the inner sanctuary within the temple to set the ark of the covenant of the LORD there. 20 The inner sanctuary was twenty cubits long, twenty wide and twenty high. [k] He overlaid the inside with pure gold, and he also overlaid the altar of cedar. 21 Solomon covered the inside of the temple with pure gold, and he extended gold chains across the front of the inner sanctuary, which was overlaid with gold. 22 So he overlaid the whole interior with gold. He also overlaid with gold the altar that belonged to the inner sanctuary. 23 In the inner sanctuary he made a pair of cherubim of olive wood, each ten cubits [l] high. 24 One wing of the first cherub was five cubits long, and the other wing five cubits—ten cubits from wing tip to wing tip. 25 The second cherub also measured ten cubits, for the two cherubim were identical in size and shape. 26 The height of each cherub was ten cubits. 27 He placed the cherubim inside the innermost room of the temple, with their wings spread out. The wing of one cherub touched one wall, while the wing of the other touched the other wall, and their wings touched each other in the middle of the room. 28 He overlaid the cherubim with gold. Orthodox churches follow similar architecture, the iconostasis is the wall that separates the sanctuary (representing the Holy of Holies) from the nave. As in the temple, it's constructed of wood, often overlaid with gold (though not all churches can afford this), and covered in iconography (the Bible tells us the the temple had carved figures of Cherubim, palm trees and flowers). Most Orthodox churches also have a curtain as the temple did. A number of guidelines or rubrics govern which icons are on which parts of the iconostasis, although there is some room for variation. There are also guidelines for who should enter or leave the altar by which door. These guidelines were developed over the course of many centuries, with both theologically symbolic and practical reasons for them. Though they vary in size, shape and number of icons, the following is a basic layout of an icon screen which one might find in typical parish church. 1. An icon of the Theotokos with the Lord. This indicates the beginning of the end of time, the time of our salvation. 2. An icon of The Lord, usually as All-ruler (Pantocrator), the just judge of all our works. This indicates the end of all time, the awesome day of judgment. 3. Icon of Saint John, the Prophet, Forerunner, and Baptizer of the Lord. 4. Icon of the patron of the temple, or of its patronal feast. 5. The Holy Doors (or the Royal Doors). These usually are a diptych of the Annunciation. Sometimes they may also have the icons of the four evangelists. 6. North door (the north and south doors are often called "deacon's doors"). This will usually depict a deacon, usually St. Stephen the Protomartyr, or an archangel, usually St. Michael. 7. South door. The same as above, though if a deacon is depicted, it is usually St. Philip or St. Lawrence, and if an archangel, usually St. Gabriel. 8. These icons (when present) are usually saints especially near to a parish or nation, such as Ss. Nicholas of Myra, George the Trophy-bearer, Demetrius the Myrrh-streaming, Sergius of Radonezh, Andrew the First-called, Herman of Alaska, or Seraphim of Sarov. 9. This is usually the icon of the Mystical Supper, the last supper our Lord ate with his friends and wherein he instituted the Eucharist. If there is a second tier, it will usually contain icons of the Twelve Great Feasts. Other tiers will depict the patriarchs, prophets and apostles. The picture is mis-behaving in my second post, but if you go to the link I posted and scroll down, you will see the diagram I was trying to show. I think the image was too large. I've fixed it for you. I remember, on the Holy Mountain, being told that on one of the monastery's Church's Iconostasis, the position of the Theotokos and Christ Icon are reversed and no one knows why, but I can't remember which monastery. Apparently, it is the only Eastern Orthodox Church in the world that has the icons reversed. Some Protestant once told the Iconostasis was wrong because it tried to imitate the Temple's Holy of Holies (which became invalid after the temple veil was torn). I know the the sanctuary is not supposed to be an equivalent to the Jerusalem Temple's Holy of Holies (if it was, I would have been struck down by God a long time ago), so what exactly is it? Is it symbolic of the old Temple? The iconostasis is a barrier between the narthex and the altar. It was introduced after Christianity became state religion in Roman Empire and number of faithful improved enormously. It kept those not-so-right people out of the sanctuary. It sharply developed in Slavic countries because of woodden Churches. Iconostasis in effect become the only one place to place icons. You cannot make frescoes on wooden walls. But what exactly is the santuary, compared to the Old Testament Holy of Holies? The Western Church also has a small barrier between their altar and nave, but did they treat the sanctuary the same as we do? Is the sanctuary holy because it is the Eucharist happens? What I particularly like about the diagram is that it correctly identifies the Royal Doors as the doors between the Narthex and the Nave (most English Speakers mistakenly call the central doors of the Iconostasis the "Royal Doors" whereas they are correctly called the "Beautiful Gate"). In Slavic tradition they are called Royal Doors. The Western Church actually did have something like the Iconostasis at one stage, it was called the "Rood Screen". A correction to Handmaiden's description: The Deacon's doors, if archangels are depicted, Archangel Gabriel, being the angel of annunciation of things to come (such as to Zacharias, and to the Mother of God), should be on the northern (left) side. Archangel Michael should be on the southern (right) side, as he is the archangel of the ends of things, such as the events of the final battle against good and evil, as well as his part in the final judgement of the souls. In Slavic tradition, the patron saint or feast of the church is shown to the right of St John the Baptist, not to the left of the Mother of God. Both of your points may be Slavic traditions. In the Greek practice it's Michael to the Left (North) because he was involved in the expulsion from Paradise (Deacons go out of the North door); Gabriel is to the Right (South) because he was involved in the re-entering of Paradise (through the announcement to Mary; Deacons go into the South door). I've seen that there can be an icons of St. Deacons Steven and the other one whose name I forgot. The screen separates the nave from the choir; it was used on the one hand to turn the choir into a subchurch, and on the other hand to allow the nave to be a secular meeting place as needed. It would cross the idealized church shown above in the dead center, "west"-ward of the dome. Prior to the reformation (as far as I know-- we had a long argument about this some years back) there was no barrier between the sanctuary and the choir; Bishop Laud introduced the altar rail at that time to keep dogs etc. out of the sanctuary, and it evolved into the place where communion was received. The screen never, ever had a liturgical function; and it is often detached from the rood itself (which had a devotional function). "The iconostasis is a barrier between the narthex and the altar. It was introduced after Christianity became state religion in Roman Empire and number of faithful improved enormously. It kept those not-so-right people out of the sanctuary." I think this to be a rather theologically problematic perception insofar as many of us are not quite so right so to speak. If look at things liturgically, what we are doing, where we are and most importantly why, we can see things differently. Christianity becoming a state(s) religion and the Churches increased numbers of faithful did not cause the Church to put up the iconostasis as a barrier, for the barrier has been breached via the incarnation. We see this in the Church at every Divine Liturgy, thanks be to Gods' love. The Church is our sovereign and the iconostasis reflects Gods' active love throughout the history of man. Reflecting on the truth that Christ and His Bride, the Orthodox Church will always remain our true sovereign can be seen during the Liturgy. The Priest says; "Holy things are for the holy" before we receive the Eucharist, even when we might think, "Lord God, I'm not holy etc." The Priest cries out; "In the fear of God with faith and love come forward." So on the one hand the Church is saying that holy things are for the holy even though I fall short, on the other hand is the Bishop or Priest holding the Chalice. Christ and the Church are both militant and triumphant as reconciliation happens within the Church even when we know we are falling short. It is the operation of the Holy Spirit, the helper, the comforter whom the Father sends in Christ's name that makes up for that which might be lacking in us. We can see the good shepherd, Christ whose yoke is easy and whose burden is light, that is within the radiant Church. Shine, shine new Jerusalem! For the glory of the Lord has dawned over you. Dance now and be glad, Sion; as for thee, pure One, rejoice in the resurrection of your child. There is joy for us. A friend of mine not long ago responded to some questions regarding the iconostasis, he summed things up much better than I can below. "There is quite a lot of symbolism to the division of the church into altar and nave, with the separation formed by the iconostasis. Indeed, that symbolism varies from service to service, and indeed through parts of services, being called upon to witness to different things at different times. But surely the basic reality you've mentioned - of earth and heaven - is an overriding symbol. The division of the sacramental space between that representing earth and all creation, and that representing heaven, God and the angelic realms, is not meant to indicate a barrier between these two realms (keeping in mind that we have icons of heavenly things outside the altar, and icons of human things within it; indeed, icons themselves are a meeting place of both). The division of space is meant to realise symbolically their encounter. It is by having the altar separated from the nave by a noted wall (the iconostasis), that this barrier can be used to symbolise not just a divide, but also a breaking of the divide. The Royal Doors can be closed to symbolise anticipation of the coming of salvation (hence the talk of the icons on the doors themselves, as above in this thread), and can be opened to indicate the real presence of that salvation. The symbolism of the barrier is important at, for example, the reading of the Gospel, which is brought out of the altar, into the midst of the nave - the Word of God coming into the cosmos, just as Christ came into the world; a 'breaking of the divide' that sin constructs between man and God. So, too, later in the Divine Liturgy, all the doors and even the curtain are closed when the priest elevates the gifts and proclaims 'The holy things are for the holy': reminding us, through those closed elements, of our utter break from holiness through our sin. But moments later, the doors open and the chalice - the Saviour himself - comes through that divide; a meeting of the heavenly and the earthly. The point of having the iconostasis as division is that it allows the reality of the breaking of that divide, or better, the healing of that divide, to be made visible in the liturgical symbolism of the Church. Without the iconostasis (or some manifestation of it), this important reality of Christian life is made less immediate to the experience of worship. Perhaps one of the best ways to recognise this, is to think on Bright Week - the week immediately following Pascha. During this period, all the doors on the iconostasis are left open at all times (including the side, or 'deacon's', doors, which are normally never left open), symbolising that in the resurrection the bonds of death that divide man from God have been ultimately and triumphantly defeated. This is always a very noticable, meaningful liturgical act, the leaving open of these doors; but it has that impact, that degree of forceful reminder of the reality of unity enabled through the resurrection, only because normally the doors are kept closed, opened at significant moments in various services. It is because of the liturgical symbolism of that 'divide', that one comes to appreciate so immediately the reality of its breach. There are also other things that the iconostasis and the doors symbolise, in various moments of the worshipping life of the Church. At vespers, for example, the whole of the iconostasis, and the Royal Doors in particular, are often seen to symbolise the gates of Eden, out of which Adam has been cast on account of his sin. So the priest comes out wearing only his cassock and epitrachilion (the sign of his office, which he must wear to serve any service), head uncovered -- a symbol of Adam standing naked before the doors of Eden, looking back in at that which he has abandoned through his transgression; while through this the reader intones Psalm 104 (103 LXX), which is a psalm on the mystery of creation ('The waters run above the hills... the lions roar about their prey, seeking their food from God... how manifold are Thy works, O Lord, in wisdom Thou hast made them all', etc.). So we have a liturgical image of our exile from paradise on account of our sin: a dark church, a closed gate, a 'naked' priest/Adam, and readings leading from this psalm of creation into the larger reading if the psalter, to the supplication ('Lord, I have cried to Thee: hear me...'). Finally, the priest re-emerges, now in all his vestments, and the gates of Eden are opened as the choir sings 'O Jesus Christ, Thou gentle light...': a visible, liturgical act that demonstrates the healing of the disunion of sin by Christ. Once again, without that 'divide' given physical iconic form in the iconostasis, this liturgical engagement would be much lessened." If I'm my own Pope then I claim infalliablity. Ha! Me thinks you make to much of these layouts, positions, forms and what not. The Lord said that where 2 or 3 are gathered together in His name that He is in their midst. That truth applies in a church building, or a barn. With ornate fixtures and sacred instruments for such services and without. Indoors and outdoors. God dwells not in temples made with hands, nor of rock or stone, but in us His people. I must admit that I'm rather amused by the fact that the same people who decided to come out with The Abridged Version of the Bible are the ones who want to do away with anything symbolic that might help reinforce understanding. At least y'all are consistent. The Lord said that where 2 or 3 are gathered together in His name that He is in their midst. That truth applies in a church building, or a barn. No one knows that better than the Orthodox, who have had to pray in barns, caves, basements, prisons, gulags, and cramped boats headed for America, due to persecution by Muslims and Communists. We don't need to be reminded of that truth. What was being pointed out in this thread was that when the Orthodox do have the resources to build proper church buildings, we build them in a way that is very "Biblical," something a Protestant should appreciate. We do this because it is how our people have done it from earliest times, and because we want to glorify God. "Sanctify, O Lord, those who love the beauty of Your House." No one is denying that God is in our midst where 2 or 3 are gathered, however if God did not care for ornate decorations and did not care how His Temple was built, why are so many pages in the Old Testament dedicated to precise instructions for how the ark, the Tabernacle, and the Temple are to be built? As we have clearly demonstrated, the Orthodox Church is similar in structure and design to that of the Ancient Jewish Temple. It is the Jewish Temple with Christian doctrine inserted. Just as the Apostles injected Christian doctrine into the Liturgical Worship they had learned as Jews, so too do we continue with Liturgical worship and beautiful temples today. Everything we do can be traced back to the the Bible in some way, shape, or form. We only put thought into the forms when we are able to; when unable (as it was pointed out by Salpy) we do whatever we can to worship the Lord as a community. But the basic principle is when able, build a temple to the Lord which integrates our local Orthodox culture and the designs of temples to the Lord before it. Many Self-Ordained and sincere people claim that verse as well,it doesn't make your form of worship any more valid than theres,if God required form and liturgy from the Jewish people,why should he expect less from his people under the New Covenant!!! All this is a bit mind-blowing, especially when added to the rich and complex symbolism of the Divine Liturgy. One wonders what to make of it all. Obviously, we all agree on Cleopas's observation that Jesus Christ is present when two or three gather in his name in a forest, a home, a cathedral or wherever. So the symbolic architecture is not strictly needed for man to meet with God. I am sure in my own mind that the glory of God rested as wondrously upon a company of early Methodists meeting in a barn as upon any other assembly of God's people. The question rises, Is it helpful? If so, it is good; if on the other hand it is unhelpful, it is not good. What is the answer? I suspect there isn't an answer - or rather, that the answer is different for one person from what it is for another. We have discussed at length on another thread, whether what Cleopas and I dub Orthodox 'accretions' to the Faith obscure Christ and obstruct the way to him, making it harder for people to find him than in the simpler, barer forms of, say, a Baptist church and service. A similar question arises concerning the elaborate and colourful symbolism of your churches and services. My guess is that there are people for whom it is a real help; it points and lifts their thoughts towards Christ; it reminds them of him and his work on their behalf: and that there are others for whom it would provide only distractions. A matter of personality, previous experience, and taste. The picture of Christ Pantocrator on the dome comes especially to mind. Until I read one or two of the above posts, I had seen these as merely a pretty picture - beautifully executed maybe, but nothing more than a picture. Now you have explained the symbolism. I dare say there are plenty of people who look up to those pictures and are reminded inwardly of the fact the he is Lord of lords, sitting at the right hand of the Father, ruling all things, bringing everything into subjection to himself, and are genuinely inspired to worship. But without the understanding, and the right sort of mind to respond to it, it is only a high-up picture which you need to crick your neck uncomfortably to see. I have written elsewhere that I have visited - and greatly enjoyed visiting - a number of Orthodox buildings. Some 'did nothing for me', leaving me untouched and cold; others moved me with a desire to pray and experience God there and then. In Korça there is a brand-new, huge cathedral, all pink domes and towers outside and colourful icons and adornments inside. It did nothing for me at all. In Gracanica - and here I must beg pardon of Alveus Lacuna - likewise I was quite unmoved by the building: shiny new (actually old but so well cleaned that it looks new), stalls lined up outside selling craft, car parked by the door for someone setting up lights or whatever, Swedish soldier guarding the entrance. I had no urge to pray or to tarry. But take me to Nokova (I think that was the place) and let me into a dusty, dark sanctuary with ancient icons and bats living in the roof; mountains around; abandoned monastery across the dingle on the hillside - and I and my Pentecostal friend would certainly have been there for the Sunday liturgy had it not been so far away, so early, and impossible to get to and from in time for our other commitments. I earnestly desired to see the nearby monastery re-established, not on the Roman or Greek model - pace now GreekChef - but on the pre-Whitby Celtic model as practised at Lindisfarne under Bishop Aidan. Likewise, the little white chapel near Phoenix (not Arizona, but the one the Apostle Paul couldn't get to for the winter) was quite conducive to prayer, meditation and worship. It's all to do with associations of the mind, I suppose. Show me a simple Primitive Methodist chapel some 160 years old in an English village, and I know what it is about and can picture the saints there experiencing forgiveness, salvation, the cry for holiness, and God's glory. Such places are, I suppose, an 'icon' for me which draw my heart, my prayers and my longing towards the Lord. So also does the ornate architecture of your churches, for those who understand the symbolism. For me, once again, I suppose it's a matter of continuing to learn, as someone wrote on another thread. From the background of our bare, plain walls, simple unadorned sanctuaries and easily understood, non-symbolic style of worship, I would have experienced no appreciation at all of the symbolism you all enjoy. Now I know it points and draws your thoughts and your devotion to our common Lord. It would be good if we could agree - and maybe we do anyway - that there are some people like me, who find Christ in a deep stirring of devotion in our setting, whilst there are others - like some who post on these threads - who are similarly moved by the symbolism and colour and - I almost said 'pageantry' - of Orthodox architecture and worship. I was hoping you would see this thread, as I thought it would explain some things for you. We don't need to know the symbolism behind every single detail to appreciate the beauty of the Church. I was an adult before I knew the "official" meaning behind the Pantocrator icon, but even as a child I was able to more or less figure it out. Christ's icon is on the ceiling, Christ is in heaven, Christ overseas everything. Lex orandi, lex credendi. We pray what we believe. If you were to attend the Divine Services at an Orthodox Church for a year, you hear the gospel proclamations behind each icon. The icons come to life. I didn't need a priest or an iconographer to explain the icons to me as a child. I heard the story of Christ being baptised in the Jordan; I saw an icon of a man in a river. I put two and two together. It seems to me that when you went to the Orthodox Churches that "didn't do anything for you," you were waiting for building to inspire you to pray. We don't go to the building for inspiration; we go to God for inspiration. This is what we have the Liturgy for. In Atlanta, we have a wide range of Orthodox churches. We have some, such as the Cathedral that I attend, that have a 58" in diameter icon of the Pantocrator on the ceiling, decked out in beautiful mosaic iconography with a gold iconostas. Then we have others, such as the small Ukrainian Orthodox Church that is North of Atlanta, that isn't much bigger than my 1 bedroom apartment. I've attended Liturgy at both places. God has been present in both places because of the Eucharist. The same Eucharistic celebration that was going on in the Cathedral was the same Eucharistic celebration that was going on in the small Ukrainian chapel. The funny thing is, is that as beautiful as we decorate our Churches, we don't lose sight of what it's about. And if we do, we just look up, see Christ looking down on us, and it's all clear. We decorate our parishes because we (the Church Militant) are joining the Church Triumphant in Heavenly Worship, and we are doing our very best feeble attempts to make the Church here on earth as wonderful as it will be in heaven. While we know it will never be as wonderful as it is in heaven, God is beautiful, and deserves to be worshipped in a Temple that is beautiful. This is evident in His commands in the Old Testament to decorate the Temple in Jeruselum. You call our decor 'accretions.' By definition you are saying that our decorations are something that were added, and were not there. This is contrary to Biblical teaching. As stated, the Jews in the Old Testament worshipped in a Temple of glory and splendor that would rival any Orthodox Cathedral today. The Apostles did not abandon Jewish worship in the Temple. They kept Liturgical style worship, but injected Christian theology. That's what Orthodoxy is. The faith handed to us by the Apostles. I see your points about wanting everything to be plain and simple with no symbolism. But God is a God of mystery. The Bible is full of symbolism! Doesn't it make sense that our worship should be as well? Anything that anyone wants to learn about the Orthodox Church is available; but is learned it over time. For our walk with Christ is an eternal one; what's the hurry to absorb everything immediately? 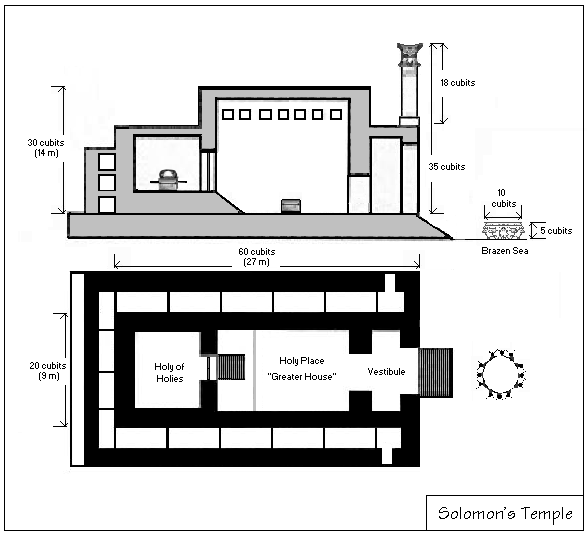 What did the typical 1st century Synagogue look like? The early Church met in Synagogues before they had such elaborate Buildings constructed. Does anyone know what 1st century Synagogues looked like? Thanks. Well, they met in Synagogues until they were ejected from them. Then they started meeting in houses. It seems to me that when you went to the Orthodox Churches that "didn't do anything for you," you were waiting for building to inspire you to pray. In a sense, yes. As you know from other posts, I am very happy praying in the mountains near here, and in my room at home. What I wrote on this thread was directed only to the matter of buildings. My point being that some people find awesome magnificent cathedrals inspiring, others might prefer the little seaside chapel of Agios Stavros on a promontory near Phoenix, a 1000-year old dusty Byzantine church, or a plain Methodist chapel from the mid-19th century. So yes - but I was restricting my comments to the matter of architecture. God has been present in both places because of the Eucharist. I can say Amen to that. Again, you know my warm appreciation of communion services. I sometimes take the Communion service at a little church in Cregrina, a village so small it doesn't appear on all the road maps, miles out in the wilds of mid Wales, sanctuary not much bigger than some people's sitting room. Oldest member now 101. I love it. we (the Church Militant) are joining the Church Triumphant in Heavenly Worship, and we are doing our very best ... to make the Church here on earth as wonderful as it will be in heaven. I didn't use to know that about Orthodox worship, but I soon discovered when I started reading maybe a couple of years ago. It makes sense. We aim, of course, for the same (as you know from your Baptist days), but our minds go to what is sometimes called "the beauty of holiness" - the inward adornment of a humble and cleansed heart worshiping Christ in Spirit and in truth. I am not saying you're wrong and we're right, for I am sure you also aim just as sincerely for that "beauty of holiness" inwardly too. It is what the Lord looks upon, wherever he sees it. I see your points about wanting everything to be plain and simple with no symbolism. God is a God of mystery. ... Doesn't it make sense that our worship should be as well? Providing it is understood, and serves as a pointer to Him and not an obstacle. Incidentally, I think the oldest church in England is St Peter's Chapel at Bradwell on Sea, founded in about 654 AD by St Cedd. People forgot it was a church, and it became a barn or similar. In 1920 someone noticed it bore some resemblance to a church, and after some investigation it was re-consecrated and is now once more in use as a place of worship. I believe the Anglicans and Catholics both use it, but when I went in and looked at it, it seemed to me rather like an Orthodox church with beautiful newly painted icons. I think you'd enjoy a visit if you ever come to Britain: I believe GreekChef wishes to come, and she and her husband should include it in their itinerary. Indeed: and we'll be taking it together. Yeah and then following Helena's trip to Jerusalem in AD 327 AD, Constantine built nine Christian basilicas in Rome and others in Jerusalem, Bethlehem and, of course, Constantinople. They were structured on the Roman basilicas of the day facing east. So for roughly 300 years, the ecclesia were a community who met in small decentralized groups scattered through the Empire in household-communities. When did this 'ecclesia' begin to mean a building and not the people of God, with Clement of Alexandria? You've missed the point. Christianity was an illegal, underground religion for 300 years. Try building a Church in Pagan Territory during the just described period or try building an Orthodox Church today in Saudi Arabia. There is record of Christian church buildings built before Christianity was legalized. I'm sure people here are familiar with the church that got burned down by the Romans with people in it. So Christians knew quite well not to build giant basilicas until after the Edict of Milan. They met in homes and catacombs. Did the New Testament Christians build Mega-Churches? That would be the same as Jews building mega synagogues in Berlin in 1942. Understandable. Strictly from an architectural stand-point, most churches in the U.S. built after 1960 are hideous!! (I'm including all denominations and all sects in that statement!) Things have been improving lately, but there was a LOT of ugly building going on for a while! There are, of course, exceptions. But that's a topic for another thread. I think you mis-understood me. It wasn't communion in the Baptist sense; when I say that God was present at both Liturgy's I mean He was PHYSICALLY there. Not just in the general "God is Omnipresent" sense. Remember, we believe the Eucharist is the true body and the true blood of Christ. Also, it's not just that all Orthodox Churches are partaking of the same body and blood of Christ that unifies us (although that is a HUGE part), it's also the fact that on any given Sunday, we are all saying the same prayers and reading from the same lectionary. I don't know if you browse the other sections on this forum, but as I'm sure you're aware, we are currently preparing for Lent. There is something incredibley wonderful and beautiful about the fact that I, Maureen in Atlanta, am rejoicing and struggiling in the same steps as George in Australia, Mike in Poland, and all of my other Orthodox brothers and sisters around the world. We can come together after Liturgy on Sunday, discuss the Feasts & Fasts, and know what we are talking about. To me, that's when the words "One Holy, Catholic, and Apostolic Church" (as said in the Nicene Creed) really come alive. It is these things that inspire us and keep us solid in the faith. Not the decor around us. If that were the case, then every small mission that started out would die out in no time. You still haven't shown how it can be an obstacle. We've already estbalished that ritualism can exist anywhere in any church. It is the individual who must decide to follow God and not get caught up in the externals around him. Those externals can be a Praise & Worship band at a Protestant Church or the iconography at an Orthodox Church. Heck, some people just go to church on Sunday to "look good" in the community. The devil tempts us wherever we are; removal of external decorations will not prevent that. Only prayer and fasting can give us the strength to resist it. Sounds lovely. I do hope to "cross the pond" again some day to make it to England. If you ever have the chance to take pictures of the church I'd love to see it. I also find it extremely interesting that the Anglicans and the Catholics share the space, considering the, shall we say, "less than friendly" history the two groups have in England. The Orthodox Church was modeled after the Temple; not the Synagogue. This is because the sacrafice of Christ on the cross replaces the need for animal sacrafices, and at every Divine Liturgy we participate in Christ's entire life. Priest: Remembering, therefore, this command of the Savior, and all that came to pass for our sake, the cross, the tomb, the resurrection on the third day, the ascension into heaven, the enthronement at the right hand of the Father, and the second, glorious coming, We offer to You these gifts from Your own gifts in all and for all. Priest: Once again we offer to You this spiritual worship without the shedding of blood, and we ask, pray, and entreat You: send down Your Holy Spirit upon us and upon these gifts here presented. Have you heard of Dura Europos? You can find pictures of it on the internet, it's probably a 1st century synagogue, although it may be 2nd century. I was just making a joke about how some Evangelicals are critical of our elaborate Orthodox temples, yet they have no problem with the Protestant megachurch stadium compounds that are on the rise all over the world. That is certainly true. The giant auditorium churches depress me, they give me the feeling of being in a business meeting room. I don't understand why people would want to throw away all church architecture. There's an inscription dating it to 244. I seem to remember them "reversed" in the Syriac Orthodox Churches, including the Patriarchate. Since we (Arabs, Syriacs) still read (as do the Hebrews) from right to left, the reading of Christ has come (the Theotokos), is coming (the altar) and will come (the Pantocrator) would dictate that. (btw, if I remember correctly, the icons in the patriarchate were on pillars). I've been to such "churches" of empty spaces. Nothing to inspire. My son, when he was between 1 and 2, used to stand and cross himself whenever he saw a Church on T.V. Once, when they were showing the Wright Unitarian Temple, he didn't move, and I remarked, "Well, I guess it's official, it's not a Church." His mother goes, when she goes, to an Evangelical church. I found out because the boys started talking about going to "the church where we don't pray." "It's not really a Church," he told me when 8 "but a place where we sit and watch people." So for me, this issue is closed. Just curious, do you object to the gimmicky presentations often made of the Gospel in Evangelical forums? His mother goes, when she goes, to an Evangelical church. I found out because the boys started talking about going to "the church where we don't pray." "It's not really a Church," he told me when 8 "but a place where we sit an watch people." Priceless, simply priceless. Out of the mouths of babes, indeed! If you want the naked, simple truth, ask a child. Here is a simple, easily-understood explanation for the arrangement of the iconography of the iconostasis. So simple, a small child can comprehend it, yet, at the same time, so profound in its ability to summarise so much of the Apostolic faith. The depth and magnitude of this seemingly simple description is truly staggering. Cleopas and David Young, your thoughts on this, please.